It’s cool to be “all-natural” these days – to eat lunch fresh from a backyard garden, to power houses with solar panels and to scrub our bathrooms with cleaners made from nothing but lemons (no harsh chemicals for the hipsters, please!). We are all becoming more conscious about keeping it real. In content marketing, it’s no different. Natural content wins. Over the last four years, Google has de-emphasized the authority of websites whose content is not “all-natural” – that is, content that does not comply with its ever-updating standards. Looking back to February 2011, Google rolled out the first of many Panda updates. Among many factors, Panda targets sites with thin content or content that isn’t especially helpful to the site visitor, meaning that Panda should be a primary consideration for content creation today. April 2012 saw the first introduction of Penguin, targeting webspam, which also includes over-optimization techniques such as keyword stuffing. As Google Webmaster Trends Analyst John Mueller puts it in one of his Google hangouts, we should just write naturally. Rich content exploring the various details of the on-page topic should be the goal. At Search Influence we’re also now at a point where we are prophets for what we call “all-natural content.” Let me explain why. This is a very small snippet as an example, but the takeaway is it’s written for the consumer not for the search engine bots, and is focusing on the need behind the query instead of a static keyword. Don’t expect dramatic or immediate ranking improvements though. 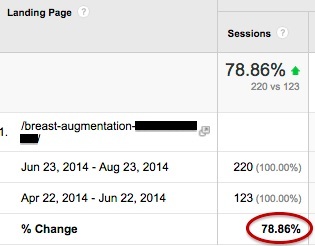 The authority of your pages pages will improve—and over time, rankings improve as well. However, as the screenshots show it was well worth the wait. With all-natural content, there is still some keyword research to be done ahead of writing content. It’s not as simple as writing 500, 800 or 1,000 words on a topic. There are the typical words or phrases that will naturally be present on a page of content if the topics are chosen smartly, but some research should still be done to ensure that closely related phrases are also included in the text. We can define our searches in Google so many different ways. Google’s organic algorithms recognize close variants and try to return similar results regardless of misspellings, plurals and variants of a phrase. It’s important to create a list of possible variations to include in your text as much as it fits naturally. Misspellings won’t usually work well in your content, but plurals and verb/noun/adjective differences (“serve” vs “serving”) can very naturally be included in text on a page. 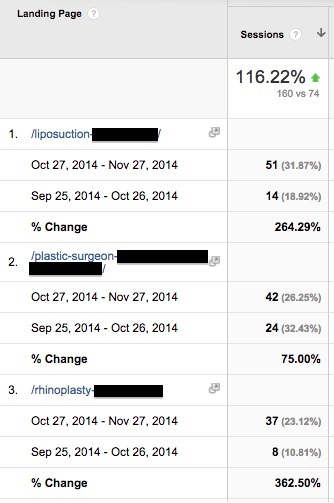 Our writers re-wrote the content for an existing breast augmentation procedure information page on a plastic surgeon’s website, and in the first 60 days after the new content implementation, the page had a nearly 79 percent increase in Google organic traffic. If you think about it, it makes perfect sense to use all these terms on a single page about augmentation, rather than creating different pages for the different keywords. More than that, using synonyms will also help your website reach a wider audience organically, growing your website traffic, trust and authority at once. The semantics of a keyword are defined as their meaning, and are determined by its surrounding words. Using semantics and with the relatively new Hummingbird algo in place, Google is now capable to understand the intention behind a query. Let me give you an example that we see fairly regularly, where the need for semantic meaning is present. Search Influence has experience with writing for attorneys, often around domestic violence defense as a practice area. It is imperative that our content is clear that this legal practice is one of criminal defense. A general page of content about the state laws and state sentencing parameters could easily mislead. Our page must also reference “criminal defense”, a “defensive team”, “defense attorney” – anything to identify this law firm appropriately. A website with good, all-natural content doesn’t get de-emphasized from Panda refreshes. A website with all-natural content won’t get de-emphasized from a Penguin refresh for over-optimization. A ding from Penguin for suspicious backlinks is a different issue, but well-written content won’t be a factor in lost visibility from Penguin. A website with all-natural content likely will win more visitors due to close variant topics. Natural content can win your website more trust from Google if it is a reliable source of good information for the consumer. Bottom line: Trust = relevance = rankings. Leave a comment and let me know if you’ve seen any benefits from thinking less about keywords and more about people. 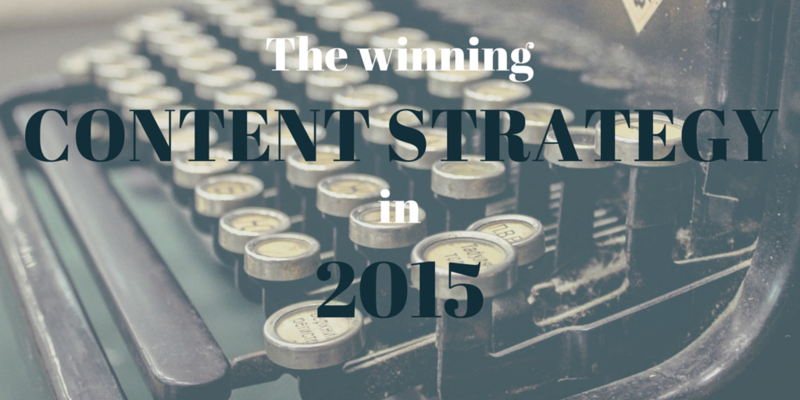 Good luck getting more natural flavor in your content strategy! While it may not be as tasty in the short-term, the long-term health of your online marketing campaign will make it all worthwhile! What’s Particular about Blog Monitoring? Great article, however we post often to our website and to social media, but cannot rank as high as our competitors who have huge budgets to spend on SEO. A typical quote for us £3500 per month for just a few keywords. I have a fairly simple and efficient workflow for the bulk creation of pages to target a specific range of related keywords, An example of this might be an “areas we cover” section where you want to target searches like “widgets in london”. I have been using it for 3 years and it’s just as effective now as it was back in 2012 and I charge a sixth of the price you’ve quoted.